Virtual reality for real estate purposes is expected to revolutionize the industry in a way that many of us may not be ready for. 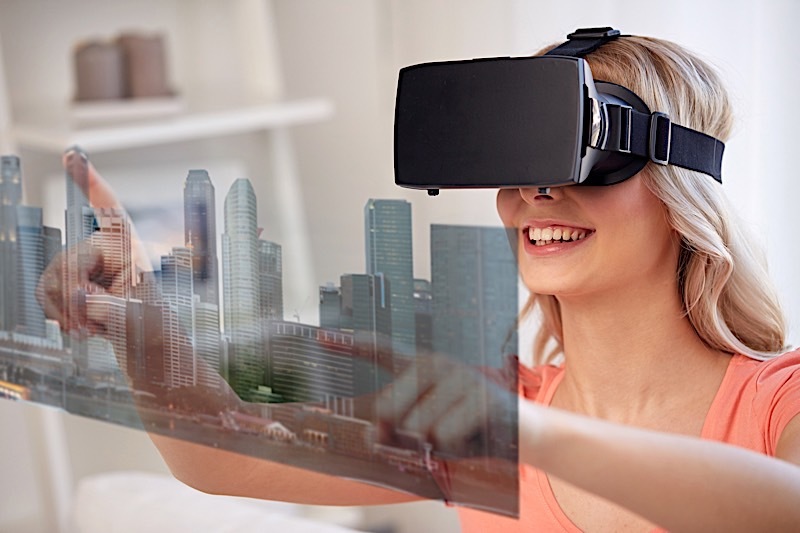 However, for those of you with an inclination towards the latest and greatest technology, you may find that using virtual reality for real estate applications places you ahead of the competition in more ways than one. Whether you are ready or not, virtual reality is going to become a major component in the real estate industry sooner rather than later. If for nothing else, we have already seen VR’s wide array of applications make their way to other industries, why should real estate be the exception? I maintain that real estate is not the exception, but rather one of the industries set to benefit immensely from the advent of this particular technology. Here’s how. While virtual reality for real estate may be in its infancy, it’s not hard to see that this particular technology will alter the industry’s landscape in a significant way. We are only beginning to understand what virtual reality for real estate can do, and there is no reason to believe its uses won’t increase exponentially as we continue to make improvements in the coming years. That said, those who get in on the ground floor cold realize huge dividends, particularly with regards to the following uses. To be perfectly clear, using virtual reality for real estate purposes has more than one application. Having said that, there is one application, at least in my opinion, that could make virtual reality an invaluable asset for savvy investors: the manner in which a property can be seen. Namely, virtual reality will allow those that adopt the technology to show prospective buyers their properties in a way like never before. Virtual reality will allow savvy real estate investors to walk interested parties through the corridors of their homes for sale without ever having to set foot outside of their current residences. As you would assume, virtual reality will enable those with the right technology to take a virtual tour of homes for sale. Perhaps even more importantly, however, is the sheer volume of potential buyers real estate investors will be able to cater to. Not surprisingly, virtual reality will enable investors to vastly increase the number of showings they can facilitate. Prior to the advancement of virtual reality, real estate investors were happy to spend their time walking a single buyer through their home. And it’s not like they had any other options. To physically sell their homes, investors would have to trade precious minutes for the opportunity to tour an asset with an interested buyer. At best, investors could tour a couple of parties at the same time, but that’s more of an exception than a rule. More often than not, the investor would have to be present to show a single buyer what their home has to offer. Meanwhile, today’s competitive market suggests other parties are simply waiting in line for their own tour. It’s not uncommon for most available properties to receive multiple offers, and even more inquiries. It’s worth noting, however, that the advent of virtual reality has enabled today’s most advantageous real estate investors to cater to each interested party simultaneously. No longer do investors need to trade their valuable time for the hopes of entertaining one, single buyer. Through the use of virtual reality, there is no limit to the amount of people that can gain access to the subject property. What’s more, the investor’s time isn’t directly correlated to the amount of tours given. With everything in place, countless prospects can tour today’s homes through the help of virtual reality without the investor spending too much time. Simply put, the amount of views your home will receive will go up, but the amount of time you invest in showing the property won’t. The time you save could very easily be spent on more important activities. And what is a great real estate investor, if not efficient with their time? I want to make it perfectly clear: using virtual reality for real estate purposes has more than one application. In addition to allowing investors to optimize their process of showing properties, virtual reality can just as easily allow them to see deals in markets they aren’t otherwise capable of traveling to so easily. Just as this new technology allows prospective buyers to tour a home from the confines of their own property, it allows investors to look at those deals they may not be able to travel to, but are nonetheless interested in buying. Think about the time you could save by not having to travel to said property. At the very least, touring a home with virtual reality could allow you to move on a property and gain the upper hand on a deal. 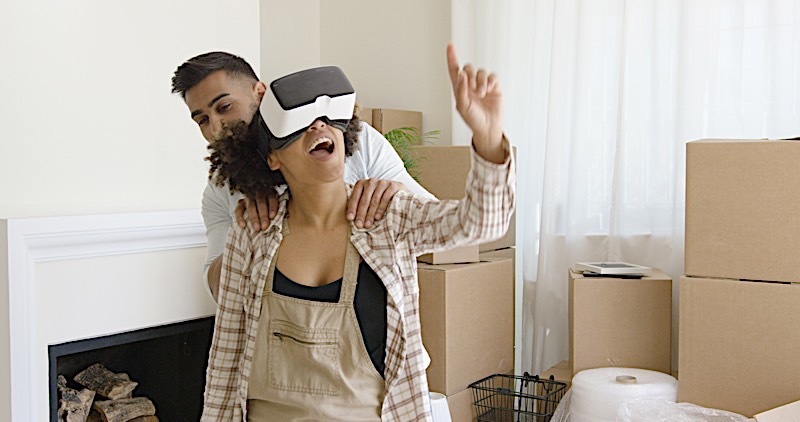 Virtual reality can very easily bridge the gap that currently exists between investors and those homes that could potentially serve as their next deal. Think about it; there is no reason you couldn’t consider acquiring a deal in the next state over, as distance is no longer the inconvenience it once was. With a virtual tour, you can get a much better feel for the property before you decide to make a decision. There is, of course, one caveat: virtual tours are nowhere near as comprehensive as physically visiting the property yourself. However, if time is of the essence, which it usually is when a deal is on the line, a virtual tour may be your best option. It’s important to make that distinction. You won’t be able to determine the state of a home on a virtual tour nearly as well as you would be able to in real life, but it is certainly a close second. Using virtual reality for real estate applications may not revolutionize the business in the next 30 days, but don’t be surprised if you see a paradigm shift in the near future. There is no doubt about it, virtual reality has countless real life applications, and there is no way real estate won’t benefit from its presence. However, those that get in now could realize huge benefits before anyone else, not the least of which include those I talked about above.